Large palm tree-like fronds are a characteristic of Black kale. They grow from a sturdy central stalk, and are smallest at the top gradually growing in size towards the base. The crinkly leaves are deeply veined and a dark greenish-purple, almost black color. With a blade-like shape, Black kale leaves are narrower than most other varieties and have a thin tender stem. The chewy texture easily softens when cooked, and offers subtle green cabbage flavor that has a tangy bite with a sweet earthy finish. Black kale is available year-round with peak season in the winter. 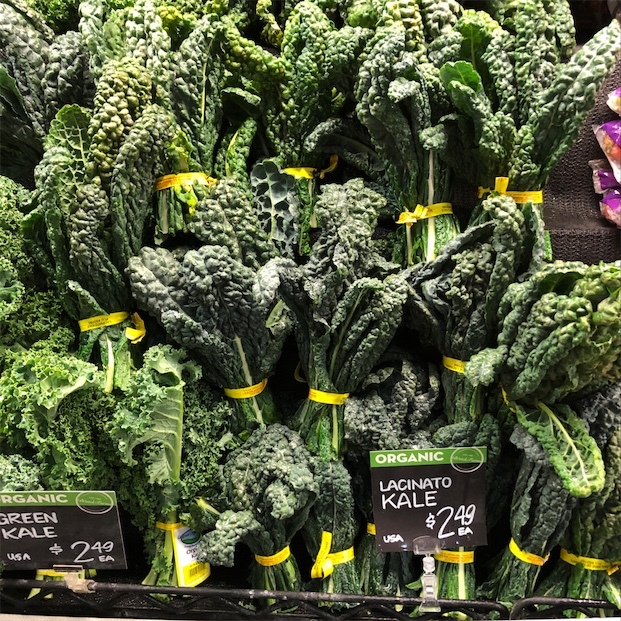 Black kale is botanically classified as Brassica oleracea and may also be commonly referred to as Lacinato kale, Dinosaur kale, Tuscan kale, Italian Black Cabbage or Cavalo Nero. Black kale is a hardy green that is prized as one of the most delicious of all kale varieties, developing a nutty sweetness even when lightly sautéed. It is one of the four types of kale in the species, including: Scotch, Siberian/Russian, Collards and of course Lacinato or Black. Black kale is especially tender when young and often used as a salad green in mesclun mixes. The fully mature leaves are best when cooked, but require minimal cooking when compared to other kale varieties as the central rib not as as fibrous. 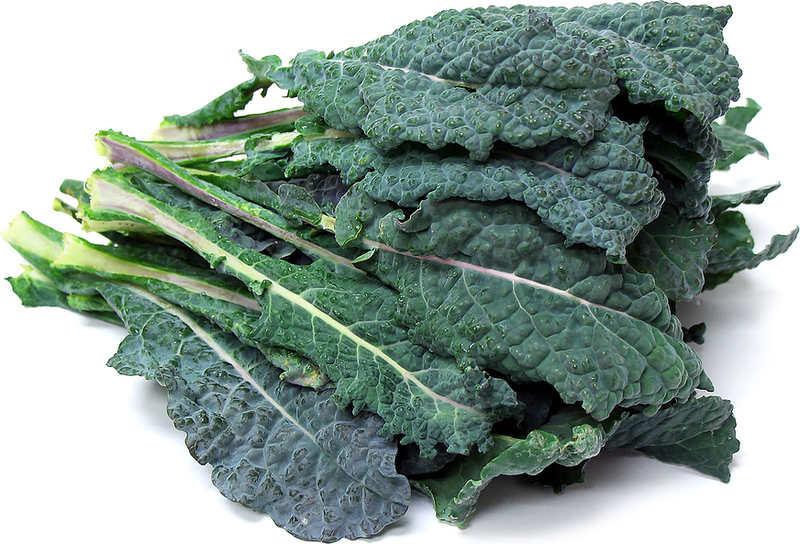 Black kale may be steamed, braised, stewed, fried, sautéed, juiced and even baked like a chip. It is well complemented by combination of garlic, sesame, soy sauce and ginger. It is also great in hardy soups which contain smoked meats, potatoes, beans or barley. Other flavor affinities include, bay leaf, oregano, thyme, red pepper flake, nutmeg, shallots, onion, tomato, sweet potatoes, cheddar cheese, Parmesan, cream, roasted meats, chorizo sausage, pancetta and chicken. In some herbal and folk medicine practices, the entire kale and Cabbage family is esteemed for its scar-healing, disinfectant, anti-rheumatic, decongestant and anti-diabetic powers. The blanched leaves of kale can be applied topically to burns or irritated skin for relief. Black kale is an international hybrid and a prized Tuscan specialty native to the Mediterranean region. Rarely found growing in the wild, today it is cultivated world-wide and yields the sweetest of crops after the first frost. It tolerates full sun, but is best when grown in partial shade in fertile soils with good drainage. Recipes that include Black Kale. One is easiest, three is harder. 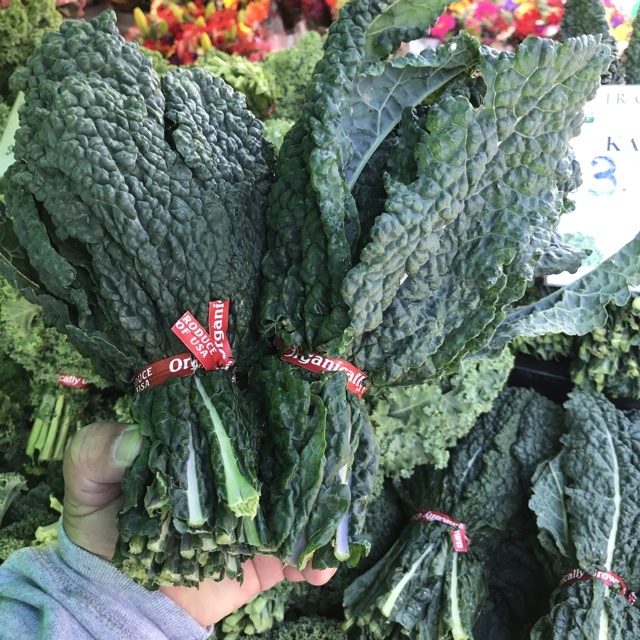 People have shared Black Kale using the Specialty Produce app for iPhone and Android. 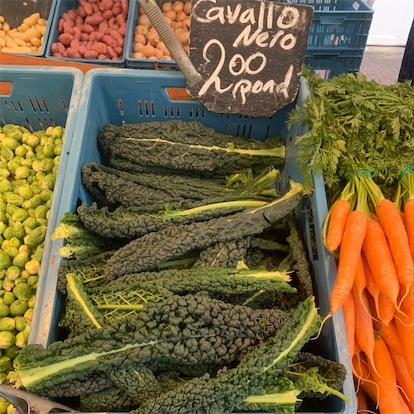 Sharer's comments : Black Kale spotted at Little Italy Mercato. Sharer's comments : Black Kale spotted at First Alternative Natural Foods Co-Op.